When TV unveiled the series Man from Atlantis no one knew the how, where and why of Mark Harris. Over time the show’s star Patrick Duffy formulated his own version of the history of Mark and his people. Here at last is the book that gives every reader and fan of the show the life and mythology of Atlantis, who they were and where they came from. Patrick Duffy’s close connection to his fictional character gives us a special look "behind the scenes" of this amazing fantasy story. Then their California ocean side laboratory is shaken when several attempts are made upon Mark’s life. He discovers the assailants have powers similar to his and he is lead into the uncharted depths of the oceans. As he discovers his past Mark’s origins and genealogy finally come to the surface. Includes photos from the author's personal collection. 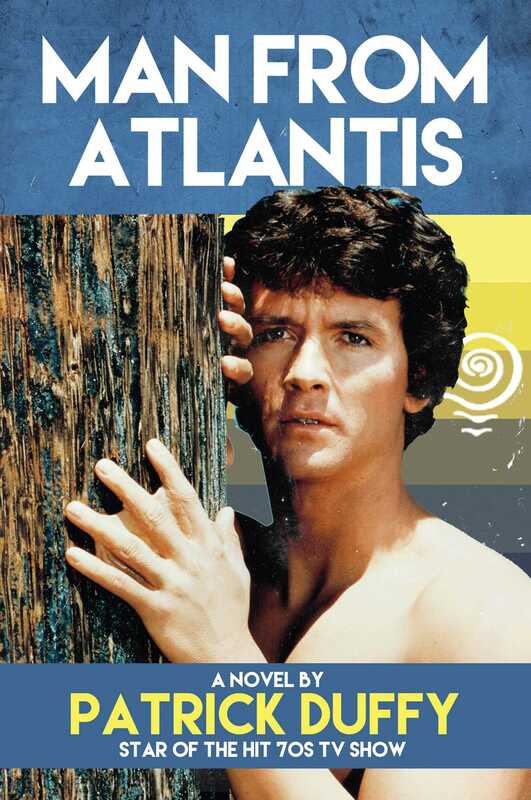 Patrick Duffy starred in The Man from Atlantis in 1976-7. Although raised in Montana, he was trained with SCUBA by his sister, a professional diver. He then went on to pursue his theatrical career. After The Man from Atlantis he spent 13 years on TV’s Dallas and then 7 years on Step by Step. But Duffy never forgot his desire to fill in the missing pieces of Mark Harris's life. After moving to his Oregon ranch in 2001 he used his down time to write the first of his Man from Atlantis books. Not needing to confine his imagination to the special effects limitations of the 1970's he has fleshed out an incredible life history of not just Mark Harris but of his entire Atlantean race.